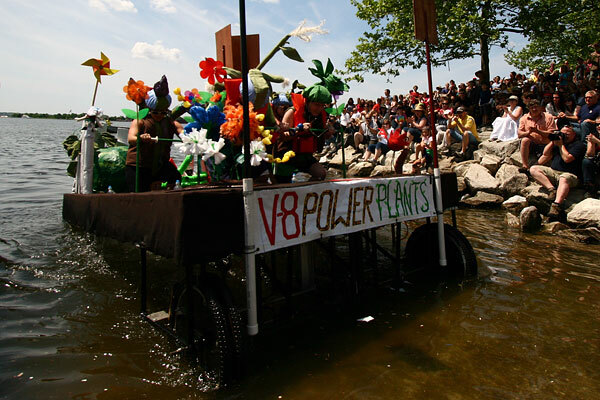 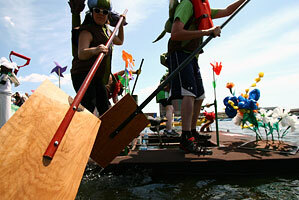 An amphibious vegetable garden, the V-8 Power Plants ran on the same chassis as last year’s Scrum Roll Racer. 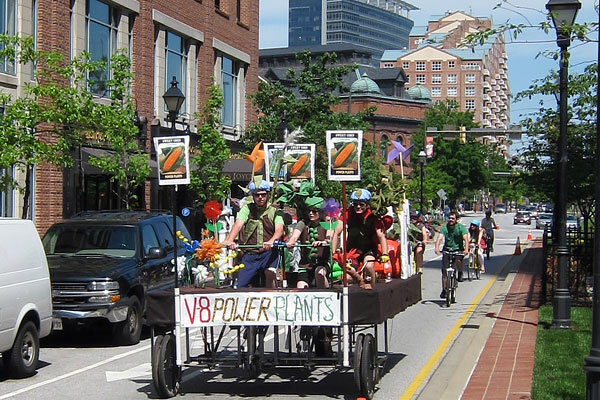 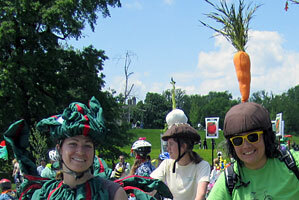 For the second consecutive year, they won Best Costumes for their thematic garb, including helmets topped with enormous vegetables. 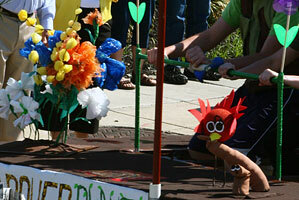 When they got to the water, the seed packets on sticks transformed into paddles. 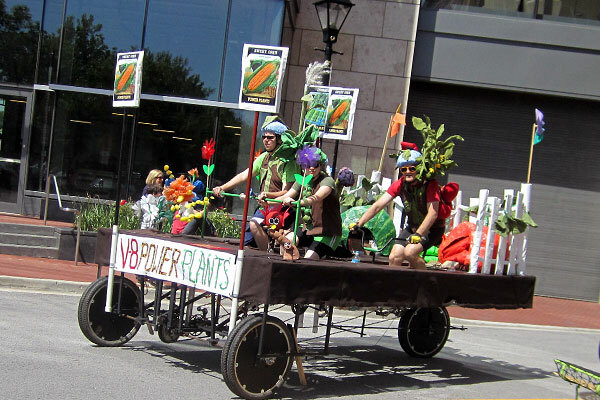 Their front-wheel-drive tricycle design enabled them to drive with ease straight out of the harbor. 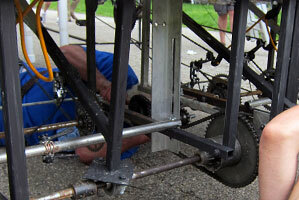 Unfortunately, they suffered a castastrophic breakdown in Patterson Park and were unable to finish the race.